Match any type of décor with this beautiful carpet which is woven in Hand-tufted technique and gives a unique look to your décor. It contains muti-colors which is easily blended with any type of décor. Enhance the beauty of your home with beautiful handmade carpet which is woven in hand-tufted technique. This carpet is woven in Pure New Zealand wool and cotton material. The warp is in cotton and weft is in pure wool. 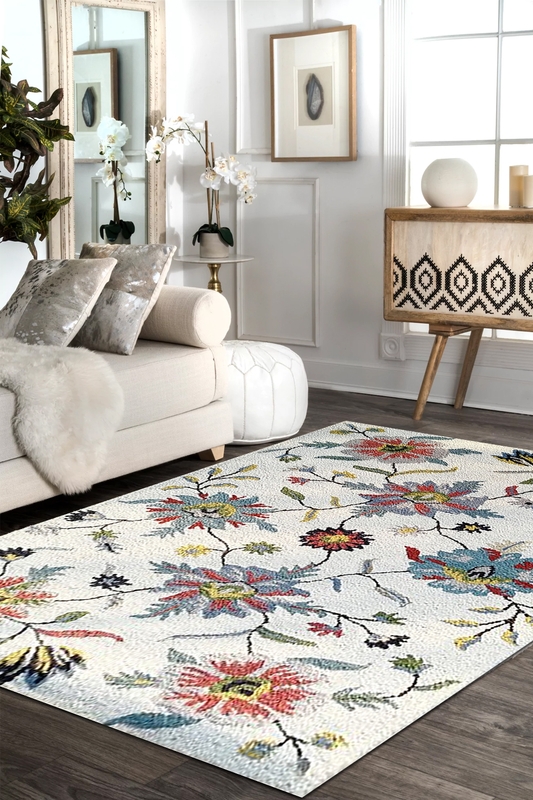 The ground of this carpet contains floral design pattern which is mainly woven in hand-tufted and flat-woven carpets. It contains ivory ground. It is 100% hand washable rug.